Two faculty members of the Sealy Center for Vaccine Development at the University of Texas Medical Branch (UTMB) at Galveston are alerting the community to take precautions when visiting Disneyland, since over 90 cases of measles were recently identified in people who had visited or had been in contact with someone who visited the amusement park. Richard Rupp, a pediatrician and professor, and Bridget Hawkins, an assistant professor of anesthesiology at UTMB, have authored a commentary published on the UTMB website in which they discuss the measles outbreak, which began last holiday season in California and has since spread throughout the country. The disease has already affected 1,000 people, from which 200 are children who are thought to have visited Disneyland. The authors highlighted the need for vaccination and the danger associated with the recent anti-vaccination movement. “It is a sad fact that some people refuse to believe scientific data, using discredited or pseudo-science to back their claims about the dangers of vaccines,” they state. The authors also note that the development of vaccines is a process reviewed by the FDA, during which the producer needs to show the drugs’ capacities and consistency to meet high purity standards, as well as the stability of the vaccine to be shipped and packed. “The FDA will only license vaccines once shown to be safe, effective and meet manufacturing standards. Are vaccines perfectly safe? No, everything carries some risk. 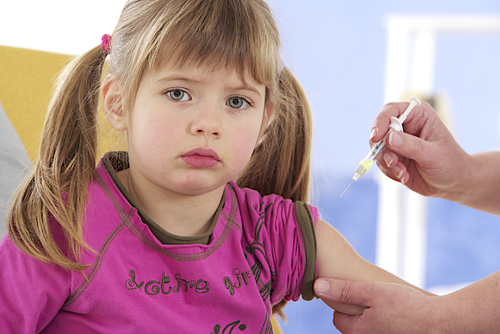 The risk from measles far outweighs the tiny risk carried by vaccination,” they explain. Therefore, the two scientists believe that vaccination is crucial to avoiding the outbreak and propagation of measles, a severe condition that kills between one and two cases in every 1,000 people. Complications from the disease include dehydration and pneumonia, and in rare occasions, inflammation of the brain, permanent brain damage and deafness. The authors also highlight that the disease can propagate through the air, when someone infected sneezes or coughs. Furthermore, the virus can remain active both on surfaces and in the air for up to two hours. Someone infected can transmit the disease to 12-18 other people, making it easy for the virus to spread in large and crowded spaces like Disneyland. Rupp and Hawkins also believe that public venues, grocery stores, doctor’s offices, daycares and schools are places in which people should be careful. They also stated that the argument about personal choice is not valid, since there is already a population group that cannot be vaccinated. The authors believe that the “the number of parents asserting their personal choice to not vaccinate their children has reached a critical level,” which is making it unsafe for other families to be in public places. “We need to stop the unscientific and irrational campaign against vaccines,” they advocate.